Telecommunication is the fastest growing industry where implementation of internet of things (IoT) is drastically changing the way of communication and lifestyle. Connection of smartphones with other devices is transforming day to day living style. Key industry players are investing in developing their OS and are using high quality sensors to provide ease in usability of devices for consumers. Several products in the market are available such as Samsung's Galaxy S4, it pauses the video if the consumer will look away from the screen. Similarly HTC One launched with striking outer body whereas Nokia introduces wireless charging and ultra-sensitive screen in Lumia 920. Moreover, several apps have been developed which helps regularly monitoring of consumer’s fitness. However, saturation of developed economies is likely to affect the growth of global smartphone market. Emerging android vendors in developing economies like China are capturing market share of key industry players such as Samsung and Apple. Smartphone brands such as Oppo, Vivo and OnePlus, are Chinese smartphone manufactures presenting Android based smartphone at significant price. Moreover, extra-storage space and better battery life features are boosting the growth of Chinese smartphone market. The global smartphone market is valued USD 363.4 billion in 2016 and is projected to witness over 3.6 billion units shipments of smartphones by the end of 2024. The global smartphone market is anticipated to grow at a CAGR of 7.5% during the forecast period. On the basis of manufacturers, Samsung is the leading smartphone company holding nearly 23.0% share of global smartphone market. Whereas Apple holds approximately 14.0% and Huawei acquires 9.0% share of global smartphone market. Asia-Pacific is the dominating region for global smart phone market accounted for 34% of market share in 2016. In 2015, emerging economies such as China was accounted for more than 30% share in global smartphone market whereas India accounted for approximately 15% share of Asia-Pacific smartphone market. In 2016, China was accounted for largest selling for smartphone with a value of over USD 130.0 billion in the year 2016. Europe and Middle East & Africa (MEA) are fastest growing region in smartphone market. Europe smartphone market valued USD 67.6 billion in 2015. In Europe region, countries like Germany, France and Great Britain are accelerating demand of smartphones and boosting the expansion of smartphone market in the region. However, due to geopolitical issues countries such as Russia and Ukraine are facing decline in the demand for smartphones. Middle East and Africa smartphone market is estimated to register healthy CAGR of 13.0% over the forecast period. Countries such as Kenya and Tanzania are also showing positive growth for smartphone market due to low tax rate in the country. 4G connections and upcoming 5G connection deployments are likely to drive the demand for smartphones across the globe. Decrease in average selling price (ASP) of smartphones is the major factor promoting the growth of smartphone market across the globe. In 2016, the ASP of smartphone reported approximately USD 280 which was decreased as compared to 2013, where ASP of smartphone was more than USD 330. Faster internet connectivity, multi-SIM and multi-functional features are encouraging the demand for smartphones. Implementation of advanced technologies in smartphones is making operation more efficient. Innovative apps and better mobile services are also increasing the adoption rate of smartphones globally. Lack of awareness among the people of developing nations about basic features of smartphones is restraining the growth of smartphone market. 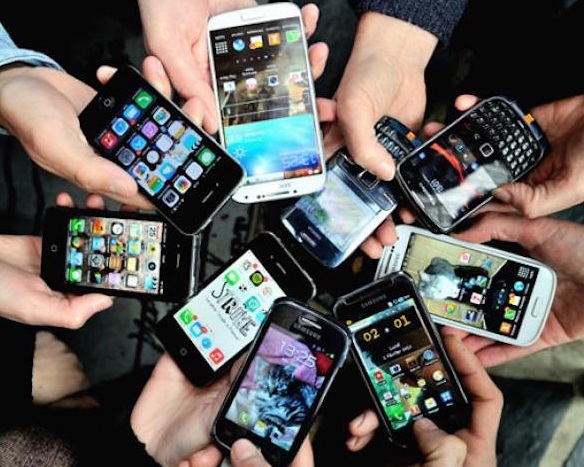 High featured phones are available at high cost which inhibits the sales of smartphones in emerging economies.